Quite a while ago, I posted the trailer to Akira Kurosawa’s crime thriller High and Low, and mentioned it was one of the influences on my novel Dark Jenny. I never got around to explaining that until now. High and Low is based on one of Ed McBain’s “87th Precinct” series of police procedurals, in this case King’s Ransom. 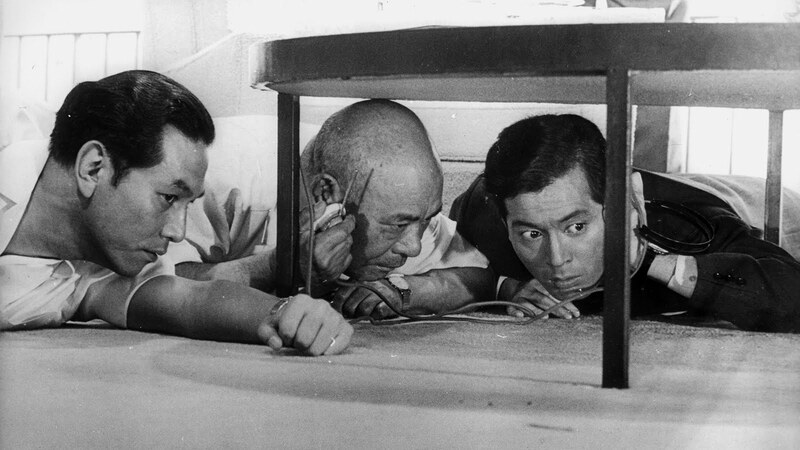 And although the film changes many of the details of plot and setting to make it work in postwar Japan, the central dilemma remains the same. A wealthy businessman is sent a ransom note saying his son has been kidnapped, but it’s actually the son of his chauffer, taken by mistake. Does he pay the ransom anyway, even if it means financial and professional ruin? I wanted some of that same vibe in my scenes at Nodlon Castle, which occupy the first fourteen chapters of Dark Jenny. I tried keeping everything in the great hall, but since I’m not Kurosawa, I wasn’t quite able to make it work. Still, I hope I conveyed some of the sense of cabin fever, of Eddie trapped within stone walls and ceilings, unable to do much of anything except wait and hope for a break. SPOILER ALERT! Both for my book and Kurosawa’s film! Similarly, when Eddie is finally allowed to leave, he travels across the breadth of the island of Grand Bruan, visiting towns, villages and manor houses all very different from Nodlon Castle. I wanted to get the sense of freedom and relief Eddie feels at finally being allowed to do something, the same way Detective Tokura and his men do in the Kurosawa film. Part of the fun of writing any Eddie LaCrosse story is finding a way to use influences that are about as far from sword and sorcery as you can get, so working in elements of a sixties Japanese crime thriller appealed to me immensely. It also provided a structure for my faux-Arthurian story that let me deal both with court intrigue and full-on battles without bogging down in either. Without it, Dark Jenny would not have been as lean and fast-paced as I hope it turned out to be.